Vietnam is a country of tropical lowlands, hills, and densely forested highlands, with level land covering no more than 20 % of the area. 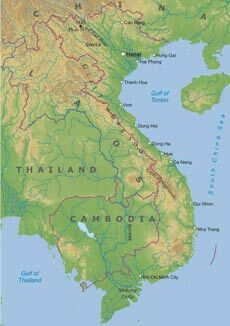 The country is divided into the highlands and the Red River delta in the north; and the Giai Truong Son (Central mountains, or the Chaîne Annamitique, sometimes referred to simply as "the Chaine. 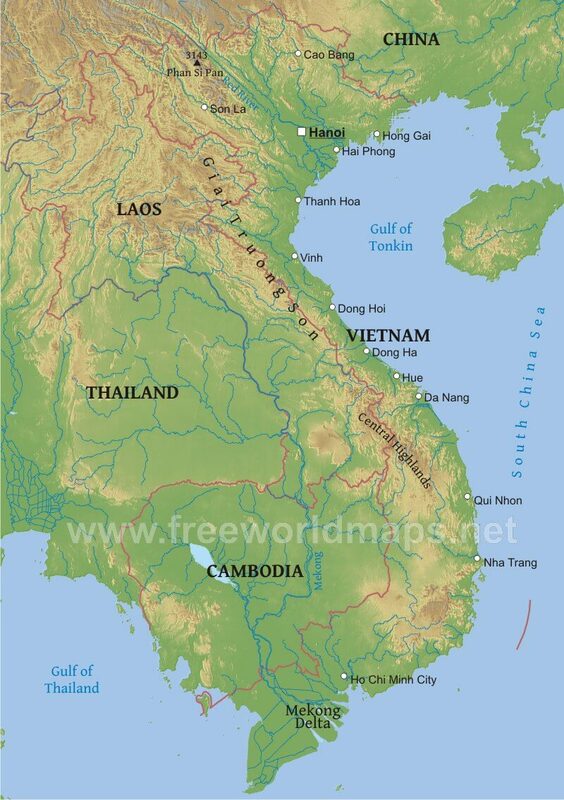 "), the coastal lowlands, and the Mekong River Delta in the south. Hanoi, in the north, is the capital city and Ho Chi Minh City, in the south, is Vietnam's largest city. 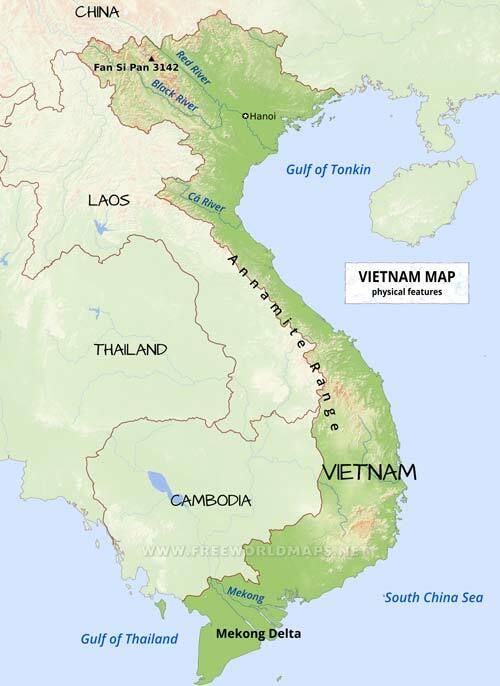 Where is Vietnam located? Map showing the location of Vietnam on the globe. Could not find what you're looking for? Need a special Vietnam map? We can create the map for you!